Finding the perfect electric sauna heater can be confusing in the North American market. Some models sold by different brands don’t just look the same, they are often identical (besides the logo). How is this possible? In a big hurry? You can’t go wrong with the Finlandia FLB line. Click the image for the latest price. The sauna heater market is dominated by a couple large brands, TyloHelo and Harvia Oy, whose products are licensed and rebranded by several other sauna companies. Luckily, these are both good brands that receive excellent reviews. The double (or triple) branding is done because it’s easier for sauna manufacturers to license products that are already UL and CE listed than start from scratch. This narrows the market considerably. Once we weed out the companies who do not have appropriate safety listings, we’re even closer. Whether you care about safety listings or not, electric sauna heaters with standard rating seem to have better reviews than Chinese models that do not. “I had had nothing but trouble with the cheaper Toule heaters. Bit the bullet and paid more but absolutely think it is worth every dime,” said one reviewer. Below is an overview of the electric sauna heater market in US and Canada. Click on the image for the full interactive version. 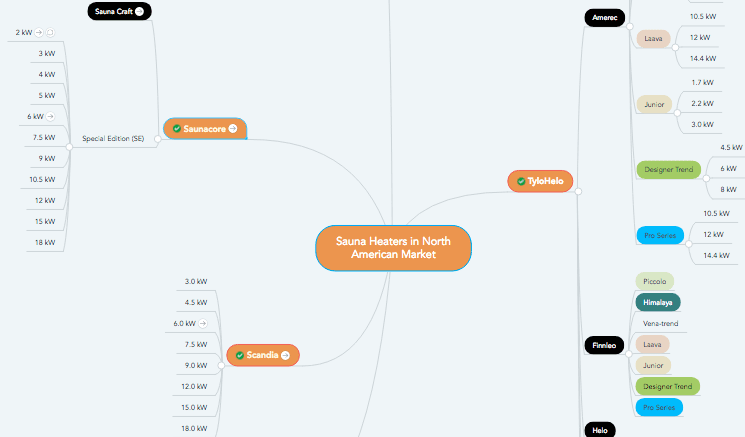 Click the Image (or HERE) for our interactive electric sauna heater finder. Is an electric sauna heater right for me? Let’s be honest, there’s nothing like an authentic wood-burning sauna. You’d have to get pretty creative to replicate the smell and sound of firewood. However, the are plenty of good reasons why an electric sauna might be the only good option, including renewed concerns over pollution from sauna stoves. The good news is that electric stoves can deliver all but the aesthetics of a wood burning sauna. Most criticism of electric saunas really comes down to BTU output and poor design. The intense radiant heat you feel from a wood-burning sauna is the same radiant heat from a physics perspective, there’s usually just more of it. Today more than ever, electric sauna heaters are convenient, dependable, and consistent. If you’re a wood burning sauna enthusiast, it may be time to try an electric sauna heater heater again with an open mind. If you close your eyes and drop some water on the stones, good electric stoves can fool most of us. Unlike infrared saunas, electric stoves with rocks can deliver a true Finnish sauna experience if they’re sized right. Note: Some of these stoves may not have not gone through the safety certification process for North America, (cUL, CSA, UL, ETL). 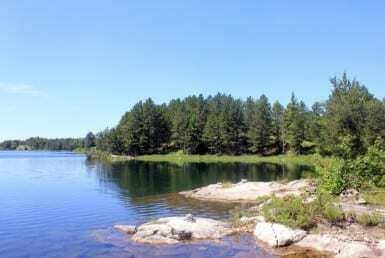 UL and ETL mean it is safely rated for use with water in US. 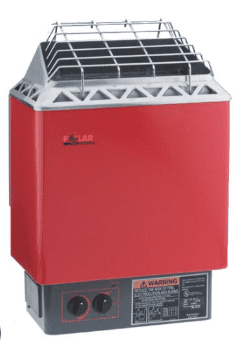 6KW electric sauna heaters are good for sauna rooms between 150-300 cubic feet. They are good choices for outdoor saunas, basement saunas, and small room saunas. 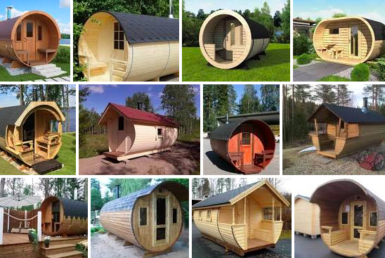 They are also a good size for barrel saunas. Sauna Marketplace is based in Minnesota so we may be biased, but around here a Kuuma Stove is the sign of a great sauna. The Lamppa Kuuma family have been manufacturing wood-burning sauna heaters since the 1940s, so the fact that they even sell an electric heater should tell you something. The biggest advantage with Kuuma is the heating elements are protected from water which provides better steam and a longer lasting stove. The heating elements in most electric heaters can crack if too much water is poured on them. If you like to pour on buckets of water, this is a good stove for you. The design allows 2 distinct air flow channels which help heat the rim without overheating the internal temperature gauge. Cool Walls – You don’t need rails around this stove. It is insulated with double walls, which keeps the exterior of the stove cool enough to not need them. Another old school wood stove manufacture designing electric heaters to feel like the real thing. It can apparently hold 180 pounds of rocks (40 lbs is standard). We’ve seen some really cool saunas with the Cilindro that look like the stone pillar is coming out of the floor. Provides an even, stable heat. 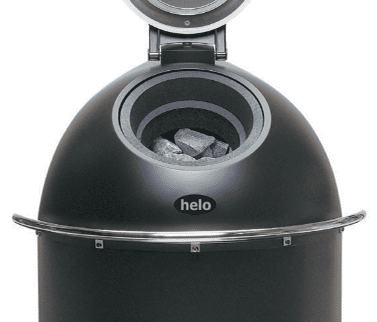 This is a good heater by a respected Finnish brand with support in US and Canada. It’s our understanding this is the most popular electric heater in Finland. The main reason for that is that it’s always preheated, making it ideal for daily use. It has a super insulated heater body and a cover for when not in use. Soft heat and steam can be achieved immediately on-demand. Like the Harvia Cilindro, this holds about 200 pounds of rocks. Simply open it up, throw some water at it, and you have yourself a sauna. Saunatonttu, meaning Sauna Elf is Finnish folklore about an elf who lives in the sauna and punishes anyone who misbehave in it. Very similar to the Saunatonttu but without the cover. If you don’t want a stove that’s aways on, Pikkutonttu is a better choice. We think this is the best looking electric heater, especially if minimalism is your thing. It looks like a sleek basket of rocks. 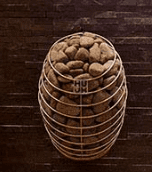 HUUM, located in Estonia, supplies their own special rounded rocks that milled. Also comes with main power cable, and iPhone app to control heater from your phone. Finlandia falls under the Harvia umbrella. It is made with stainless heating elements and interior, and has a standard 1-8 hr prewait and timer on bottom face of heater. For wall control applications look for the Finlandia FIN model. The FLB-60 comes with 40 lbs of volcanic sauna stones. Comes in red or silver. Also comes in 3 kW, 4.5 kW, and 8 kW versions. Reviews on Amazon are very positive, with many reviewers noting Finlandia’s high quality materials and light weight. These $200-500 heaters (on Amazon) are definitely worth a look if you’re on a budget. Here we went with the 9 kW even though there’s a 6 because it’s cheaper and has better reviews. You’ll find several brands that look very similar that appear to be from the same manufacturer in China. Can be purchased with controls and 9 hour delay timer located on front of heater or integrated with a wall panel. Comes with wall-mount mercuri controller – can be installed inside or outside sauna room. Models range from 2,000-10,500 watts. Some Saunacore models have an auto-steam vaporizer feature for humidity-lovers. For more information, see our whole review here or check the price on Amazon below. Wash dust off stones before use. Place stones according to manufacturers recommendations – you don’t want to inadvertently block an air path or leave too open space. In most cases, rocks should completely covering the heating elements. Make sure you are allowing enough ventilation through the room. Typically you’ll want an air intake behind the electric heater and a way for air to exit room low on the opposite wall. See what your heaters manual has to say about the topic. Most manufacturers explicated say not to install a shower in the sauna room. Don’t sweat it if there’s a funny factory smell at first, most electric saunas need to burn off some oils before use. Undersizing a sauna heater may limit your maximum bathing temperature (up to 194f), increase the time it takes to heat up, and severely limit the amount of water you can pour on your rocks. Oversizing a heater can create a harsh or unpleasant heat – especially when sitting close to the heater. Generally, oversizing is not as big of a problem as undersizing unless you really overdo it. A good indoor sauna should be able to reach a good sauna temperature within 20-30 minutes. Many people like to ‘size up’ to make their saunas get hotter faster. However, sauna heaters are typically UL or CSA rated for a particular size hot-room. This may have implications for home insurance policies if you oversize your heater. Most sauna manufacturers in North America use maximum cubic feet for sizing their heaters based on the volume of the hot room. To calculate the cubic feet of your sauna, just multiply the Length x Width x Height of your sauna room in feet. Common rule of thumb – 1 KW for every 50 cubic feet. Also be aware that most electric sauna heaters have minimum ceiling heights and several other clearances that should be observed. Browse on sauna marketplace for minimum clearances or consult manufacturers manuals. Oversizing to increase max temperature – North America UL or CSA certified electric sauna heaters have a maximum temperature regulator that will cap your sauna heat at 194 degrees f (don’t blame the messenger). If your sauna heater can reach that temperature in a reasonable time, sizing up will not make your sauna get much hotter. 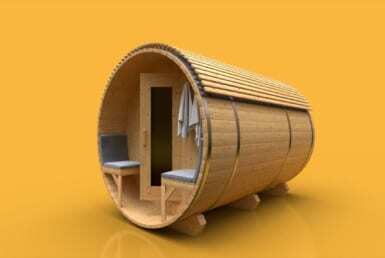 Sizing too small for outdoor saunas. Always size up for outdoor saunas in cold climates, especially cold climates or if your sauna has little or no insulation. Sizing too small for saunas with large windows or excessive ventilation. Not minding the steam factor – if you love steam, you may want to oversize your heater. Every time you pour water on the rocks there is a recovery time for the rocks to reach temperature again. The larger the heater, the faster this will happen. You will be frustrated pouring water onto the rocks in vain if your heater is too small – there’s literally nothing worse. Building sauna with tall ceilings – While it’s temping to have high ceiling height to accommodate stadium seating and get the bench above the heater, the sauna volume can quickly get out of hand and take a long time to heat. Ceiling height can also eat into the most important insulation space. Most sauna heater mistakes come from sizing it wrong, not from the brand or model. So don’t get too bogged down choosing an electric sauna heater. These all produce heat the same way and will get the job done if sized appropriately. Just try to size it right, and find one that’s available, in your budget, and enjoy your sauna.